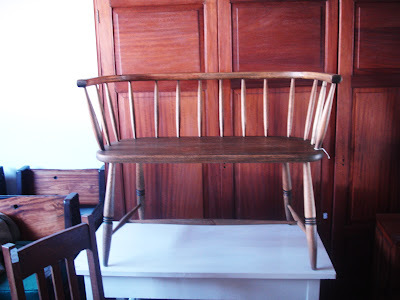 ...it's sitting on this little bench in a second hand shop on the South Coast. 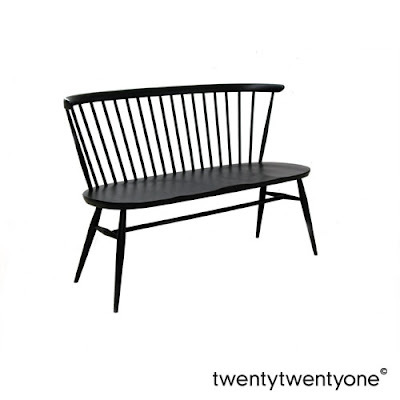 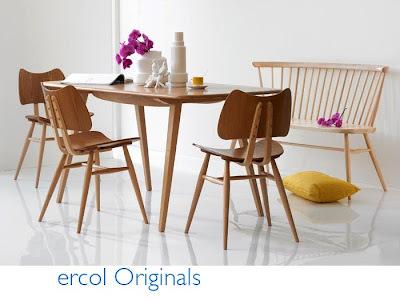 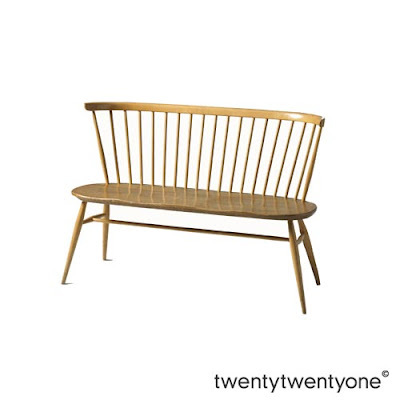 It reminds me of this Ercol loveseat from the 1950's. 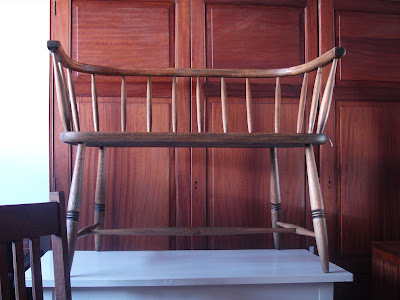 Not as sophisticated but I think it would look great painted white in an all white Scandinavian inspired room... in my dreams.